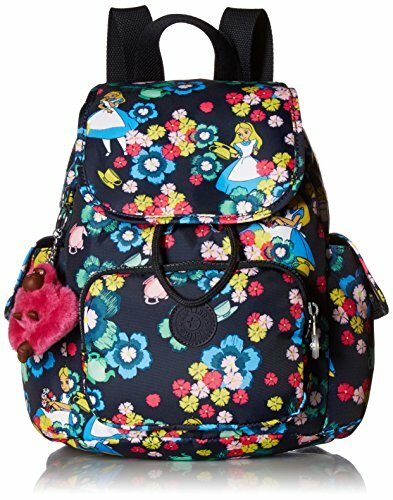 Faux leather duffle bag with colorful Alice in Wonderland print. The inside contains one large zip pocket and two open side pockets. Includes a detachable and adjustable shoulder strap. Measures 10 inches wide, 9.5 inches high, 5 inch depth. 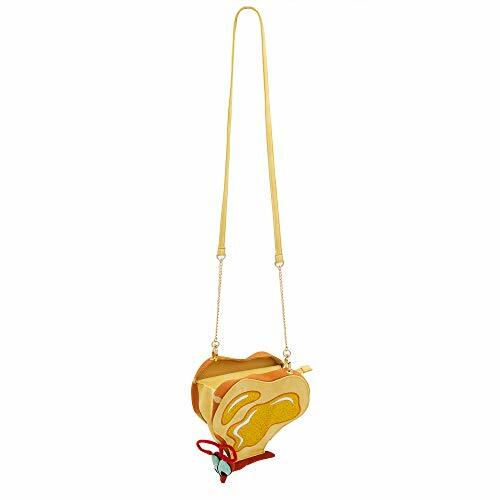 Alice and all her friends make this a fun purse to carry! 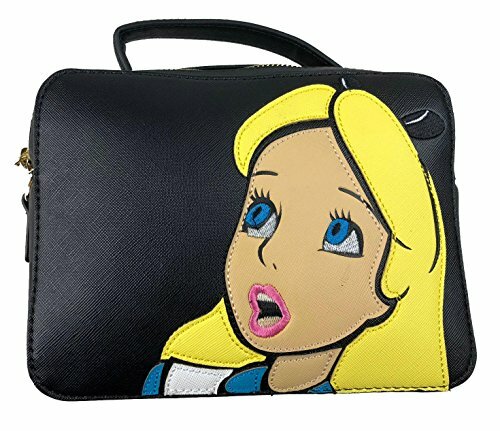 The front and back feature licensed characters from Disney’s Alice in Wonderland. Made of pebble textured black vegan faux leather. Front as stylish silver and black metal and resin Disney and Loungefly label. This is a boutique quality handbag with lots of great detailing. Inside contains one large zip pocket and two open side pockets. Fully lined. Adjustable cross body strap. Measures 10 inches wide, 9.5 inches high, 5 inch depth. Handle drop is 5 inches. Include detachable and adjustable long crossbody strap. Vegan friendly! 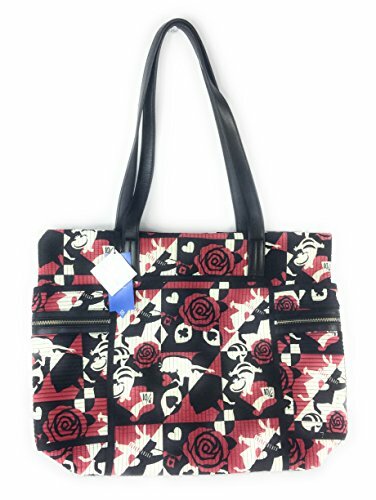 This Alice in Wonderful Duffle is sure to add an elegant touch of whimsy to your wardrobe! 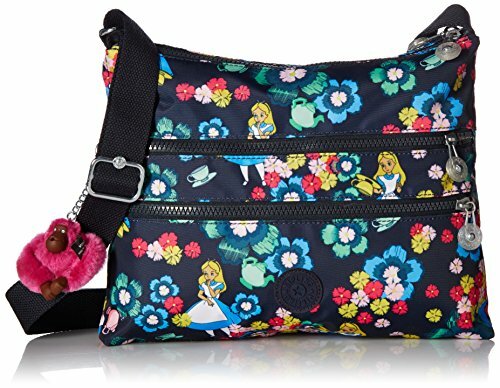 This faux leather duffle features Loungefly’s new Alice in Wonderland print, rolled handles,and adjustable, detachable shoulder strap! Duffle is fully lined and has interior zipper pocket and side pouches.